Group optimizing production efficiency and reducing debt while bolstering market share. 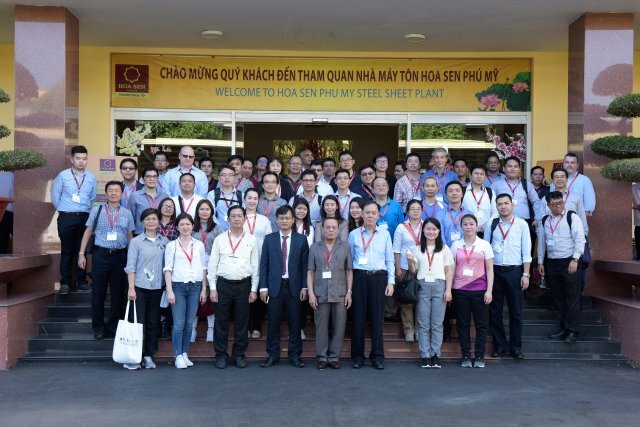 The Hoa Sen Group has focused on its strategy of improving production and supply capacity for iron, steel and plastics over the last three years to develop sustainably while actively investing in building new factories around Vietnam and expanding its distribution network. 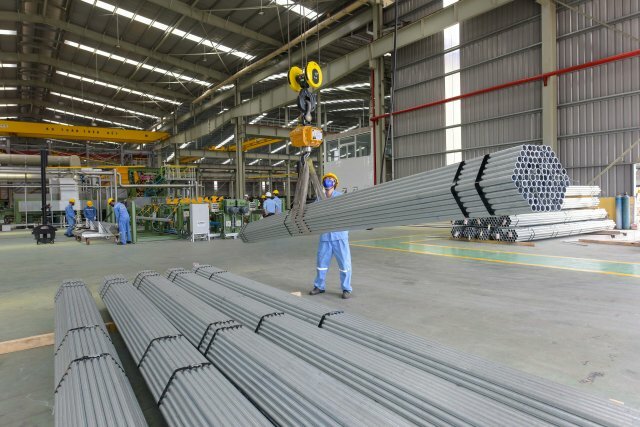 According to the Vietnam Steel Association (VSA), in the first nine months of this year the group led Vietnam’s steel market, with a share of 35.2 per cent, with volumes up 100,000 tons compared to the same period of 2017. At its 2017-2018 annual general meeting, the group announced that output exceeded 1.8 million tons and revenue VND34 trillion ($1.45 billion), up 13 per cent and 32 per cent, respectively, compared to the previous year. Both domestic and export revenue saw outstanding growth, of 34 and 27 per cent, respectively. After-tax profit was VND410 billion ($17.6 million). 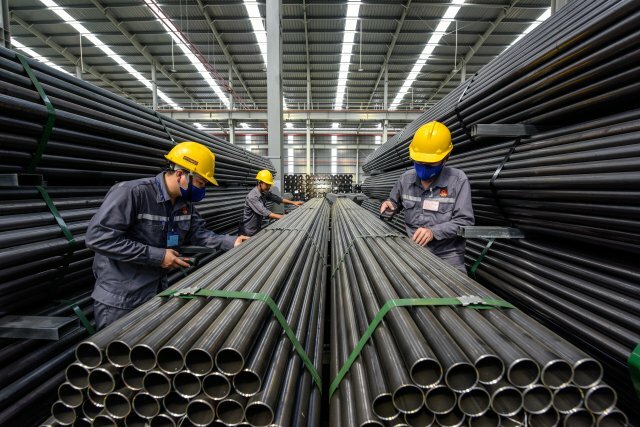 The group stood second in the steel pipe market, with a share of 17.8 per cent, according to VSA, with output rising 13 per cent to 36,000 tons. The group has invested significantly to achieve such results, from production to sales. It is now producing and trading three main plastic pipe products - uPVC, HDPE, PPR - and all kinds of accessories. 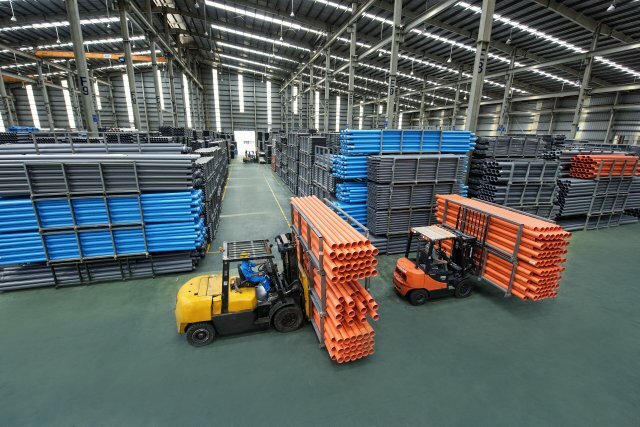 Thanks to its advantages from having plastic pipe production factories in all three regions of Vietnam, combined with a distribution network reaching from the north to the south, the group has achieved remarkable success. Thanks to the implementation of investment plans to expand production, overall capacity has doubled from 1.2 million tons per year in 2015 to 2.5 million tons, with the group becoming the owner of the most plants and the largest capacity in Southeast Asia. Its investment in three factories in the northern, central and southern regions has helped it cut transport costs, increasing competitiveness and meeting customer needs. This is also one of the key steps in expanding its production and distribution system, creating a solid foundation for the group to develop in the long term. Investment, however, has been accompanied by a significant increase in debt costs. In the context of the government adopting credit tightening measures, resolving its debt issue is one of the most important factors in ensuring its development and has been the subject of much focus. In order to effectively resolve its financial problems, group leaders have put forward practical policies such as reducing interest expenses by cutting inventory to a minimum; reducing the cost of sales by restructuring its distribution system in a provincial branch model where operating costs are optimized, while delaying the opening of new branches and evaluating the effectiveness and promoting the capacity of existing branches; streamlining its human resources, introducing an ERP system to reduce personnel costs and management in a professional manner; and cutting investment projects in the real estate sector. With such activities, the group reduced its debt from VND15.9 trillion ($682 million) on June 30, 2018 to VND12.7 trillion ($545 million) by November, or VND3.1 trillion ($133 million). This is an impressive figure demonstrating the quickness and determination of Hoa Sen in optimizing production and business activities in a very short period of time.